Kohlrabi, also known as German turnip is a tuberous vegetable. They have similar taste and texture as that of broccoli stem, the more tender the stem, the more crispy and tasty they are. Kohlrabis are called knol-khol in South India and are easily available. Kohlrabi is low in calories- about 27 calories per 100 g and contains a negligible amount of fat and zero cholesterol. Fresh kohlrabi stems provides about 102% of RDA of vitamin C which helps the human body maintain healthy connective tissues, teeth, and gums. These vegetables also help in avoiding cold, cough, and infections and help in boosting immunity. The vegetable is rich in antioxidants and assists the human body in preventing diseases and cancers. 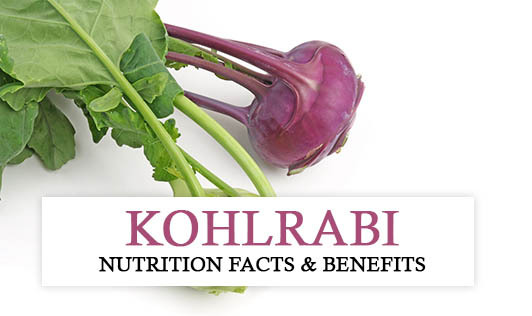 Kohlrabi is rich in phytochemicals such asisothiocyanates, sulforaphane, and indole-3-carbinol that are supposed to protect against prostate and colon cancers. Over all, it is a very beneficial vegetable that can be used raw in salad/coleslaw or even cut with onions and tomatoes. It can be made into sabzi and eaten with Indian breads. Don’t forget to include this vegetable at least once a week to gain maximum benefits.